I hope to test one app per week over the coming months, and compare the usability, workflow, and performance to my current Lightroom workflow; only Allah knows how well I’ll do: if you’re interested, stay tuned. 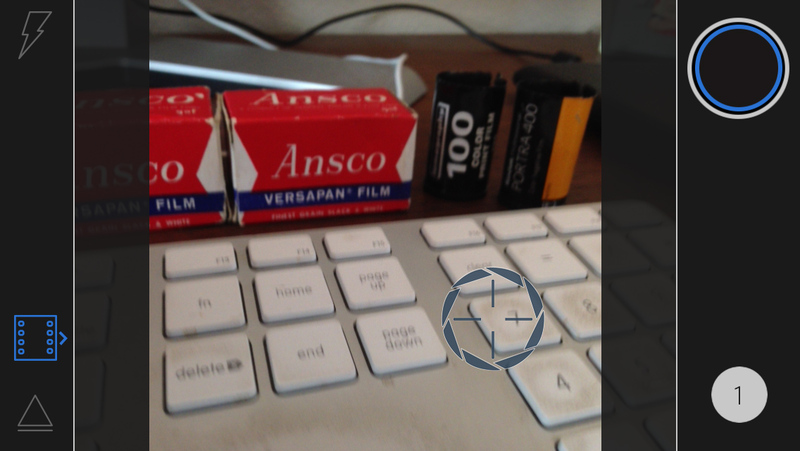 In the shot there, you see two Ansco Versapan Film boxes… Inside those boxes are two unexposed rolls of black & white Ansco film that expired in 1968 and that I picked up for a few bucks on ebay. Good times. I was unsure what to do with these, and was hesitating shooting them, since I don’t really want to spend the money to pick up a new kit of chemicals and bottles, etc. for Black & White developing. Then I came across New55 Film’s R3 Monobath B/W Developer, thanks to a very recent episode of Ted Forbes’s Art of Photography show/podcast. I haven’t seen the episode yet, so if there’s a coupon code in it, I’ll feel a bit chagrined since I just ordered a bottle of developer. InshaAllah, I’ll load a roll of that old film in the FG tonight or tomorrow, and maybe have a review of the developer and the old film in a month or so. So stay tuned! There’s some excitement ahead, InshaAllah.